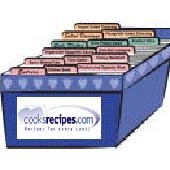 This pet food recipe for Dog Treats was submitted by Diana Hatfield-Bixby. Combine the wheat germ and baby food to form a dough. Roll into 1-inch balls. Place on a baking sheet and flatten each with a fork. Bake at 350°F (175°C) for 25 to 30 minutes. Cool on wire rack.